Regional Victoria will play host to one of the heaviest music festivals in the land on Saturday, 26 January 2019! 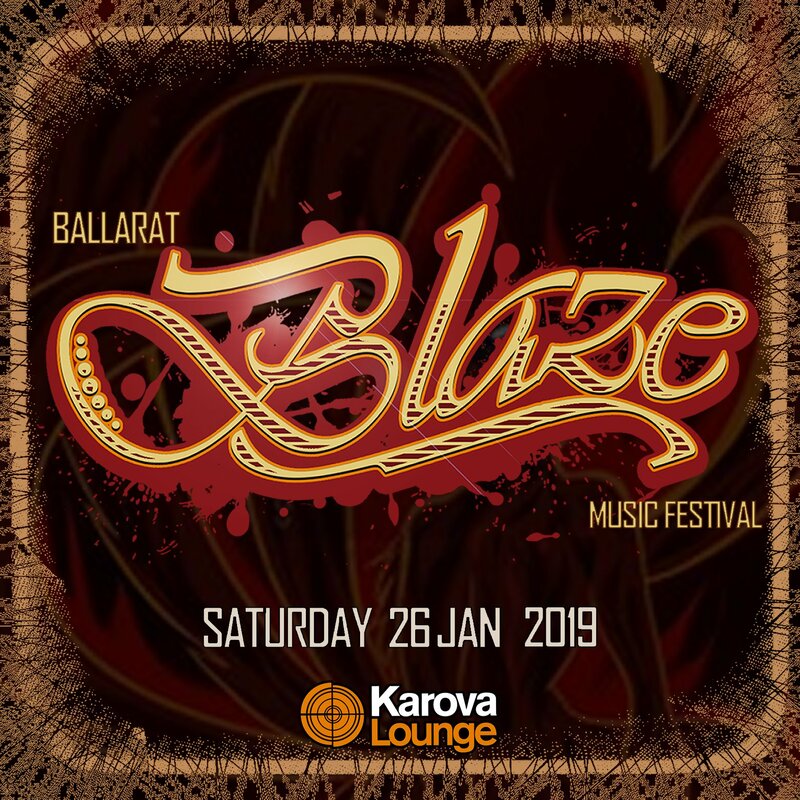 The All Aussie Line up features 18 Local and National Touring acts playing over two stages at the Karova Lounge in Ballarat. Two of the nations longest continually running metal bands Dreadnaught and Frankenbok are names synonymous with the Aussie metal scene and will be solid crowd favourites. Blaze Fest will also showcase some of the newest acts in heavy music via Fall and Resist, Toxicon and Never. 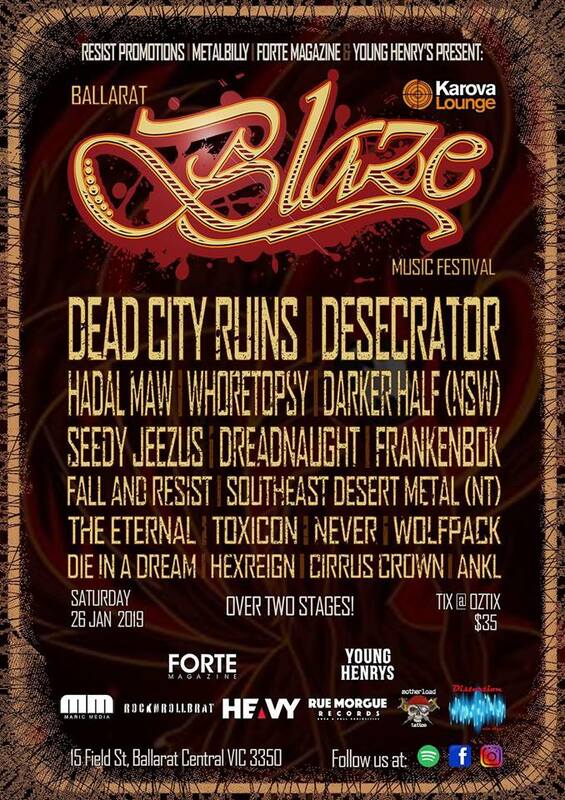 If a full day of proper heavy music is what you crave, then make sure you don’t miss Blaze! Rue Morgue Records, Young Henry’s and Motherload Tattoos. Next Story → Farmer & The Owl Festival Is Back!